Blunteffects® air-fresheners and incense products are comprised of luxurious oils, fragrances, and the best smelling incense you'll find. Blunteffects® products are 100% oil based & concentrated. No matter what your choice of scents is, rest assured Blunteffects® has you covered! We want to welcome you to the future of the vaping and wholesale industry as you know it. 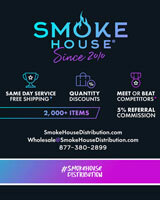 It goes by the name of Vape Wholesale Supply. As a whole, our mission is to provide our beloved customers with exactly what they are looking for in order to create an outstanding all-around purchasing experience. Avalanche CBD Vape cartridges are made with USA grown 99.8% Hemp Derived CBD and are flavored with 100% Botanical terpenes. We take the time to craft each cartridge with the utmost care and we use c-cell glass/steel cartridges for outstanding hits and reliability. 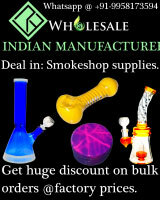 We wholesale to smoke shops across the world. Try us, you customers will love us. We have created and patented a marijuana odor eliminator. Purge420 is a nanotechnology based solution and BioPurge420 is a microbial based solution. Both are juggernauts in marijuana odor elimination. We carry CBD infused honey sticks with 20mg in each stick. 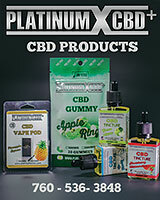 We have a huge variety of flavors including green apple, pineapple, blue raspberry, and more. These honey sticks are ALWAYS one of the best selling items in the store!! NEW PRODUCT - Tear & Toke is an inexpensive, re-usable, disposable pipe that caters directly to the world's fastest growing market. The best part? 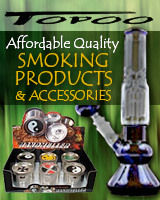 It's already in high demand and doesn't compete with other smoking accessory products. Keystone pricing at both wholesale and retail levels. No counter space needed to merchandise. Innovative line of FreshandWipe brand air fresheners. Microfiber car screen cleaners/air fresheners are designed to keep cars smelling fresh, and clean navigation/backup camera screens. Sold in C-Stores, Auto Stores, Hardware Stores, Car Wash, Smoke Shops. Made in USA! Mid-State Merchandise Co. was established in 2006. 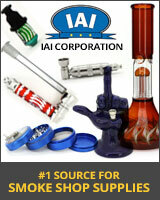 We are an importer and wholesaler of smoking products and accessories. Our company makes every effort to ensure that merchandise is shipped out in good condition.